In my review of Westworld, I argued that novelists who become filmmakers often lack the visual creativity to balance out the verbal richness of a given work. While certainly true of Michael Crichton's debut, this can also be applied to literary adaptations in general; the often-prolific use of voiceover and frequency of long speeches belie an unhelpfully literal approach to adaptation. Sir Henry at Rawlinson End proves the same can be true for spoken word albums. 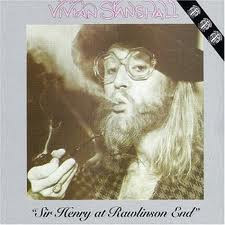 Vivian Stanshall's 1978 LP, culled from his stints on Radio 1 covering for John Peel, remains an irresistible slice of whimsical absurdity with wordplay which is utterly to die for. But in the hands of first-time director Steve Roberts, most of the charm and quality of Stanshall's work is eroded or withered away, resulting in a crushing disappointment. Sir Henry at Rawlinson End has been called everything from "the cinematic equivalent of cheese before bedtime" (The Big Issue) to "the missing link between Monty Python and Withnail & I" (Time Out). Set in and around the fictional English country manor of Rawlinson End, it follows a day in the life of Sir Henry Rawlinson (Trevor Howard), Great Aunt Florie (Sheila Reid) and various other eccentrics who inhabit or visit the estate. 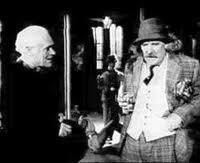 The film version extends the plot of the album, adding both the activities of a morose priest Slodden (Patrick Magee) and Sir Henry's attempts to exorcise the ghost of his brother, accidentally killed during a drunken fishing trip. The best way to understand the film is found in the words of Peter Sellers. When interviewed in 1972 just before a one-off Goon Show to mark 50 years of the BBC, he made the comparison between The Goons and Monty Python in terms of visual imagination on the part of the audience. Watching Monty Python's Flying Circus, you had a starting point for what the various characters could look like: in Sellers' words, "John Cleese always looks like John Cleese". Listening to the Goons, on the other hand, you had to create pictures of what the various characters looked like without much visual assistance, even from Spike Milligan's own drawings. 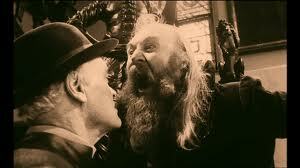 The great joy of Sir Henry as a record was Stanshall's skill with voices, accents and verbal acrobatics. Every sinew of the storyline was crammed full with wit and wordplay, with Stanshall's metaphors and imagery being up there with the best bits of Under Milk Wood. Dylan Thomas would have smiled favourably on corkers such as this: "A pale sun poked impudent marmalade fingers through the grizzled lattice glass, and sent the shadows scurrying, like convent girls menaced by a tramp." 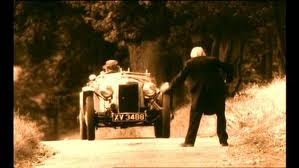 Like Under Milk Wood, the story of Sir Henry at Rawlinson End is secondary to the characters inhabiting it, whose every tic and foible is captured in superb detail by the rich language. With Thomas, it is the grotesquery of Mr. and Mrs. Pew, the melancholy of Polly Garter or the grief of the blind sea captain. 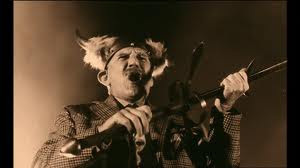 With Stanshall, it is the absurdity and sheer lunacy of English aristocrats, from Sir Henry's simpleton son Hubert, "in his mid-40s, and still unusual", to walking encyclopaedia Reg Smeeton, who obsesses over the fact that there is no proper name for the back of the knees. As delightfully hilarious as all of this sounds, it was always going to be difficult to capture the innate anarchy of Stanshall's unique mind. The very effect of adding a visual dimension takes away from the imagination of the record, offering a standardised version of events which, much like the Tele-Goons, will inevitably fall short of one's expectations. One could blame this on the director's inexperience or lack of talent: Roberts would later carve a niche for himself penning TV series based on successful Disney films. But Stanshall's close involvement, both at a script level and in a supporting role, leads one to conclude that it was simply a bad idea for anyone to attempt it. In adapting the album for the big screen, there has been a certain amount of plot-shuffling - understandable enough, and just about excusable considering the consistent quality of the material. But some of the best bits of the album are inexplicably missing. At only 73 minutes long, it is unlikely that they were cut for time, and more unlikely still that they were lost for lack of making sense. Most tragic is the omission of Sir Henry's monologue about Professor Molebottom, who in his mind "put the bounce in the bouncing bomb". The new additions to the story are poorly integrated, giving the distinct impression that the film would have been fine without them. Patrick Magee is a burning screen presence, as evidenced by his work with Stanley Kubrick in A Clockwork Orange and Barry Lyndon. But for all his charisma his character seems curiously pointless; his priest plots and glowers on the side-lines, but nothing ever comes of him being there. 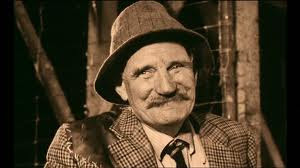 Harry Fowler's winkle-pickered Cockney is an obvious bum note, a pale imitation of Walker from Dad's Army. And the ghost exorcism plot is badly handled, arriving with some hokey special effects and being palmed off pretty quickly. 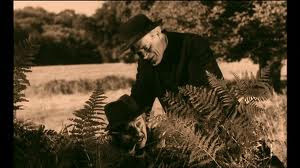 There have been a number of strange British cult films which have passed muster in spite of their shambolic narratives. Think of Richard Lester's The Bed-Sitting Room, co-written by Spike Milligan, or The Magic Christian starring Peter Sellers. But what saw these films through their short running times and perplexing turns of plot was a constant feeling that they were about something, even if they weren't going anywhere. Sir Henry at Rawlinson End, on the other hand, feels totally and indulgently aimless. It feels like the cast and crew were given a big house to play around in for a week - they shot everything they could, making it up as they went along and then tried to stitch it all together in the editing room. While the album may not have finished in an entirely satisfying way, it at least had the common decency to quiet while it was ahead. This hangs around for at least 20 minutes too long, ending with someone bungee-jumping off the battlements for no good reason. In amongst its disastrous execution, there are individual moments in the film which at the very least make it memorable. There is some pleasure in seeing Trevor Howard sending himself up so mercilessly; one can almost picture this is what his character in Battle of Britain might have become had he been given a peerage. He gets a number of pretty juicy lines which showcase his insanity - the best being, "I never met a man I didn't mutilate" - and his prisoner-of-war camp banter is quite fun. Some of the visual decisions are also notable. Where The Bed-Sitting Room found Lester manipulating colour like his contemporary Nicolas Roeg, Sir Henry at Rawlinson End is shot entirely in sepia monochrome, reinforcing its amateurish, parochial feel. If one was feeling generous, one could call this a descendent of the early surrealist films, taking its place in the canon as a late-blooming English take on Luis Bunuel. In the end, however, there is precious little about Sir Henry at Rawlinson End that makes one feel anything like as charitable. It is a crushing disappointment for fans of the spoken word album, whose bizarrely annoying tone leaves no way in either for fans of English whimsy or for the casual viewer. The pockets of familiar bliss or tongue-twisting delight are padded out by incoherence, indulgence and irritation. In short, it proves that audience imagination is key to making these kinds of stories work, and that as a result, some things are best left unseen. Nah. It's a brilliant, inspired gem of high weirdness. I only wish it was. All articles are Copyright Daniel Mumby, Sebastian Evans and Tom Wales, 2010. Blogspot layout adapted from a design by Evan Ecard, check out his work here.